Crime Program Aims To Close Trust Gap Between Government, Tribes : It's All Politics Native American tribes can be hampered trying to fight crime on reservations because they don't have access to federal databases. The Justice Department wants to help. 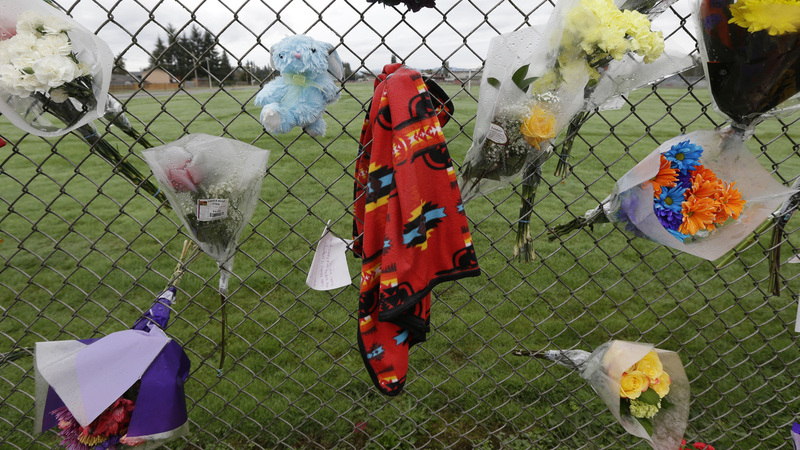 Last October, a 15-year-old student and member of the Tulalip Tribes in Washington opened fire at his high school with a gun obtained from his father. The tribe had issued a restraining order against the father, but that information didn't show up in the federal criminal database — so he was able to buy the gun. "We live in an information age right now, but unfortunately some of our communities don't have access to the information they need to keep their communities safe," said Deputy Attorney General Sally Yates. The Justice Department is trying to make it easier for Native American tribes to gain access to national crime databases. Federal authorities say the program could prevent criminals from buying guns and help keep battered women and foster children safe. The issue of who can see information in federal criminal databases might sound boring, until one considers a deadly shooting at a high school in Washington state last year. Deputy U.S. Attorney General Sally Yates recalled the case, "where a 15-year-old boy got access to a gun that his father should not have been able to purchase had the information been available at the time." A court connected to the Tulalip Tribes had issued a restraining order against the boy's father for domestic violence. But that information never showed up in the federal criminal database, leaving the man free to purchase a gun. The boy used that same gun to kill four classmates and himself. His father now faces criminal charges. "We live in an information age right now," Yates said, "but unfortunately some of our communities don't have access to the information that they really need to keep their communities safe." Under the Justice Department pilot program, 10 tribal communities will get their own hardware and training, so they don't need to rely on local authorities. John Dossett, general counsel of the National Congress of American Indians, said that matters. "The states have been, you know, some of them are good to work with, some of them don't work with tribes," he said, "so it's been an issue that's been going on for a long time." Dossett pointed out that tribes have been pressing the federal government to open up the criminal databases for 10 years. And Congress has made it a priority, too. He added that tribes are watching now to make sure the Justice Department program will be a continuing effort, one that will expand all over the country. "We're in a trust-but-verify situation," Dossett said. 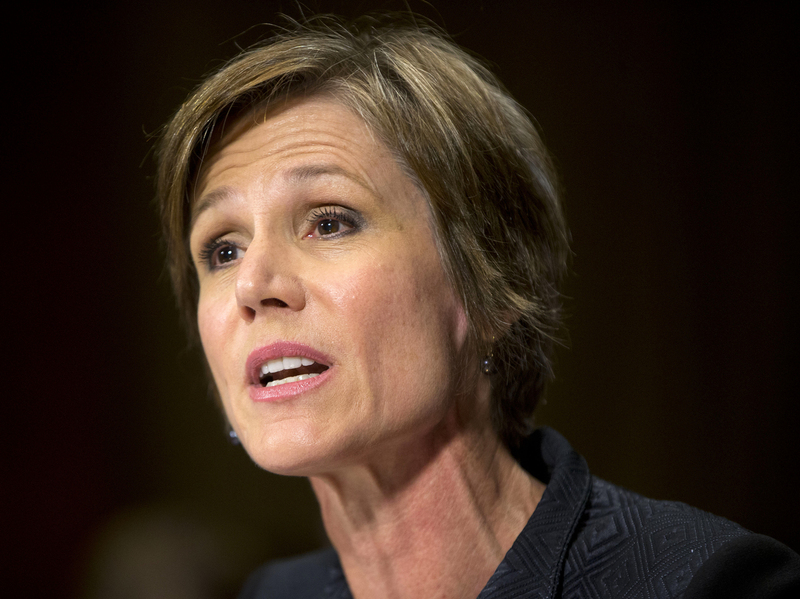 Yates, the second in command at the Justice Department, said she understands the trust deficit. In 2011, she traveled along with other federal officials to the Pine Ridge Reservation in South Dakota. "It really had a profound personal impact on me," she said. "You know, I saw people who were living in very challenging circumstances, and we're their Justice Department, too. We have an obligation to earn their trust and to do everything we can to make their communities as safe as possible." This week, Yates will head to Colorado to meet with tribal leaders, law enforcement and students on public safety.